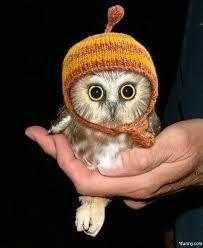 As they get older, baby owls change their sleeping patterns. The older they get, the less time they spent in REM sleep. …the team found that owlets expressing higher levels of the gene involved in melanism had less REM sleep than expected for their age, suggesting that their brains were developing faster than in owlets expressing lower levels of this gene. In line with this interpretation, the enzyme encoded by this gene also plays a role in producing hormones (thyroid and insulin) involved in brain development. Although birds are the only non-mammalian group known to clearly engage in REM sleep, it has been unclear whether sleep develops in the same manner in baby birds. Consequently, Niels Rattenborg of the MPIO, Alexandre Roulin of Unil, and their PhD student Madeleine Scriba, reexamined this question in a population of wild barn owls. They used an electroencephalogram (EEG) and movement data logger in conjunction with minimally invasive EEG sensors designed for use in humans, to record sleep in 66 owlets of varying age. During the recordings, the owlets remained in their nest box and were fed normally by their parents. After having their sleep patterns recorded for up to five days, the logger was removed. All of the owlets subsequently fledged and returned at normal rates to breed in the following year, indicating that there were no long-term adverse effects of eves-dropping on their sleeping brains.